Home / Entertainment News / Armed thugs hijack Matatu and force passengers to request M-Shwari loans before robbing them. Armed thugs hijack Matatu and force passengers to request M-Shwari loans before robbing them. 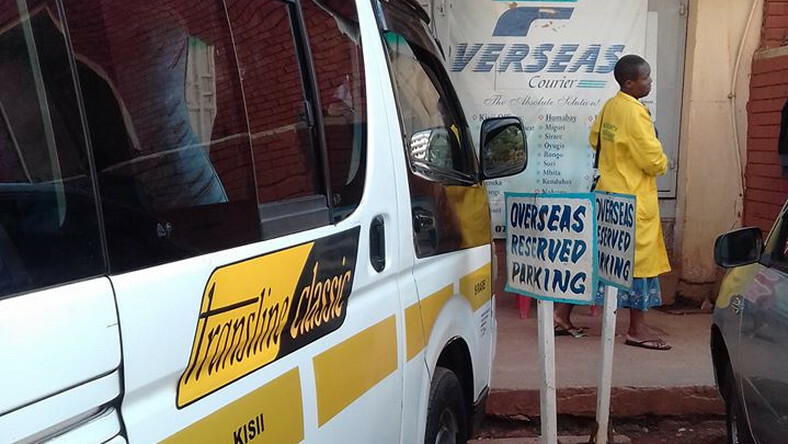 Thursday, January 31, 2019 - A Matatu belonging to Transline Sacco headed to Nairobi from Kisii was hijacked on Wednesday by armed thugs at Mai Mahiu. The thugs forced the driver to drive to a thicket near Mai Mahiu town and robbed passengers for close to three hours. According to a passenger who was in the vehicle, the thugs ambushed the driver when he pulled over to drop a passenger. Besides robbing them of their valuables, they forced the passengers to request for M-shwari loans (a mobile loan service) then collected their phones in a bucket and left. Nobody was hurt during the three hour ordeal. “They told us to lie on the ground and robbed us all our money and other belongings. They went as far as telling us to send us money on their Mpesa number. “After that, they forced us to request for Mshwari before collecting all our phones in a basket,” the passenger said. The incident was reported at the Mai Mahiu police station.